We provide Comfort Care Packages to cancer patients through oncology treatment centers. We feel privileged to support cancer patients in their fight against this terrible disease. YANA is 100% volunteer run and relies on donations to fulfill our mission. 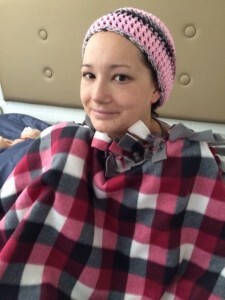 A donation of any amount will help us send more care packages to cancer patients. We currently do not have the funds to ship individual care packages to private residences. It costs us on average $20 per package to have it boxed and shipped. The care package, including the fleece blanket, is free. In the future we will need to collect a donation to have our care package boxed and shipped. Stay tuned - we are in the process of setting up a donation when requesting a care package.